Get to know Ryan Thomas! 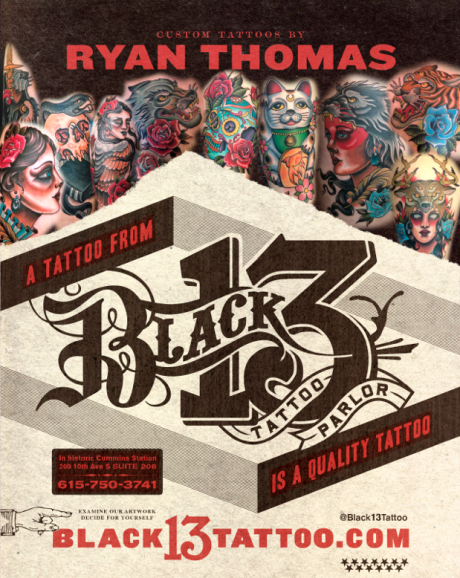 Ryan joined the B13 family in 2010 by way of Toledo Ohio. Though he’s been tattooing for 6 years, it’s been a great pleasure to watch him blossom not only into a fine young man, but really develop as a artist over these last few years. When he’s not tattooing he can be found with his family, eating sushi, working out, doing flips on trampolines, or slipping away to paint. Take a look at his work here and see what he’s all about!